Welcome to Alpha & Omega Endeavours Inc.! You’ve likely landed on our page because you’re looking for an established company with a reputation for outstanding general contracting services, superior carpentry, and exceptional construction management services for commercial, institutional, and residential projects within the Lower Mainland and Fraser Valley. You’ll appreciate the team approach at A & O, where everyone works together toward the overall completion of each project and you get the benefit of a full complement of skills and expertise. That team includes YOU, the customer, as we strive to develop an environment where the owner, consultants, contractor and trade contractors work together in tandem. Our project team consists of key personnel whose lives have been invested in the construction industry. 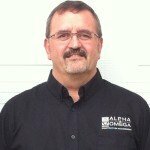 Alpha & Omega continues to build solid relationships with reliable and competent contractors who enable us to continually provide our clients with the highest quality finished product. Meet our TEAM MEMBERS here. 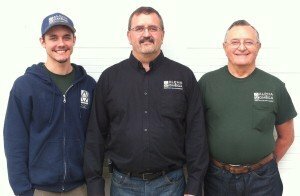 Alpha & Omega is a family operated business, incorporated in 1977, with three generations presently contributing to the vision of providing fine craftsmanship and outstanding service: Fred Wutzke (co-founder of A & O with Elaine Wutzke) as consultant and Manager of Equipment, Glen Wutzke (President & Construction/Project Manager) and Garrett Wutzke (Carpenter/Estimator). Meet our FAMILY TEAM MEMBERS here. Your satisfaction is our ultimate goal; nothing less will do. That commitment to our customers has served us well, as our main source of business to date has been through referrals and repeat clients. Our reputation is our greatest asset—and that comes through in the testimonies of our valued clients. I hope your visit to our website will be of benefit to you and look forward to your phone call so we can discuss your project management needs in person. We look forward to the opportunity of working with you! Alpha & Omega Endeavors, Inc.